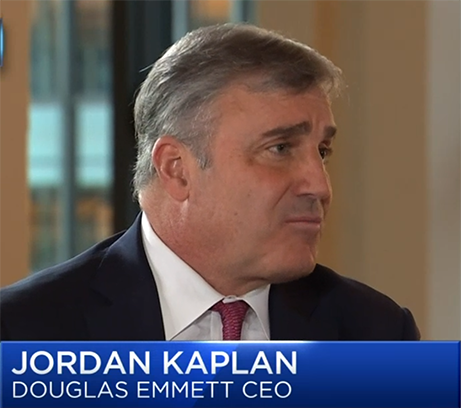 The new contracts specify the CEO Jordan Kaplan and COO Kenneth Panzer will each receive an annual base salary of $1 million. CIO Kevin Crummy will receive and unspecified base salary, but per Douglas Emmett Inc.’s latest proxy, he received $600,000 in 2017. The three executives also enjoy “employee welfare and retirement benefit plans” even though they oppose a union pension plan for their employees. They will receive family “medical and dental benefits (without any co-payment)” despite not offering affordable health coverage to their engineers, many of whom are forced to rely on publically subsidized coverage to ensure their health. Additionally, the executives are eligible for unspecified annual bonuses. 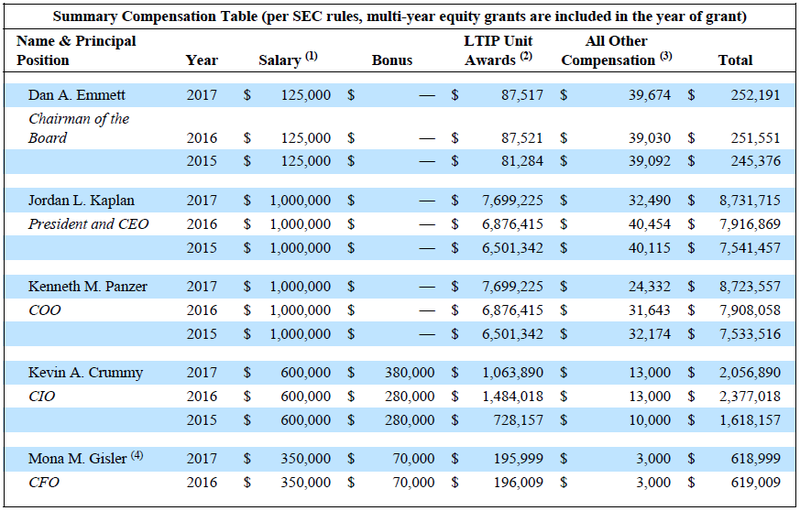 Historically these bonuses have been limited partnership interests in the company worth millions of dollars (see below for 2017 compensation numbers).